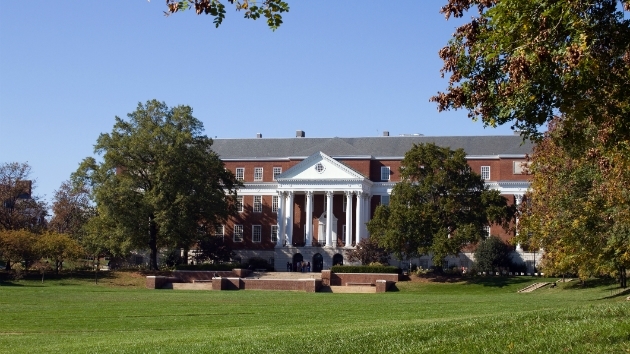 There are now 22 confirmed cases of adenovirus at the University of Maryland. The virus was linked to the death of a freshman earlier this year. WASHINGTON — More cases of adenovirus have been confirmed at the University of Maryland, the latest in an outbreak of severe respiratory illness blamed for the death of a freshman. According to a letter from the University health center director on Friday, there are now 22 confirmed cases of the virus. That number includes students who had been sickened earlier in November, but have since recovered. In four of the cases, students tested positive for Adenovirus 7, a strain known to cause harsher sickness for those with chronic illnesses like asthma and diabetes, as well as for users of immunosuppressive medication. A fifth test proved inconclusive, pending additional testing. The announcement came almost two weeks after the adenovirus-linked death of 18-year-old Olivia Paregol. Her family has raised questions about the mold in her College Park dormitory and whether it may have contributed to their daughter’s respiratory illness. The family has also questioned the university’s response to their daughter’s illness. Olivia was treated at the university health center Nov. 2, a day after the university learned of the first case of Adenovirus. And while the health center dispensed an immunosuppressive drug to Olivia, for she which she had a prescription to treat Crohn’s, the health center did not advise her of the finding of the Adenovirus, even though her symptoms and the prescription may have put her at particular risk. “Olivia should have been told to seek additional medical treatment and she should have been told that she could have Adenovirus. She instead received no such information and was sent back to her dorm from the university health center,” said her father Ian Paregol. The university said it had not established a connection between mold exposure and the infections. To help prevent the spread of adenovirus and the flu, the letter said departments across campus will continue their stepped-up cleaning of “high-touch surfaces” such as doorknobs. It also urged anyone with chronic medical problems or a weakened immune system to seek medical attention within 48 hours if flu-like symptoms occur. Symptoms to look out for include high fever and a cough, sore throat, vomiting or diarrhea.